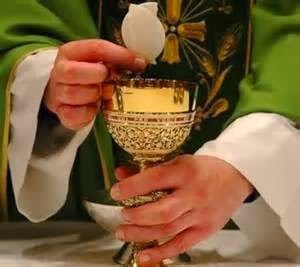 Here the three meanings of “present” come together: Christ in the Eucharist is (a) present, not absent, but really here; (b) present, not past, but happening now; and (c) presented as a gift (a “present”), really given, offered, not withheld (326). I’m happy to affirm and deeply grateful for the Real Presence of Christ in the Eucharist, though I’m hesitant to attempt to parse that out too far (e.g. transubstantiation, consubstantiation). Somehow Christ mysteriously ministers his presence to his people in the bread and wine. This three-pronged comment from Kreeft is quite helpful, though, as we reflect on the character of Christ’s presence. In the consecrated elements, Christ is really present right now to give himself to his people in love and with joy.